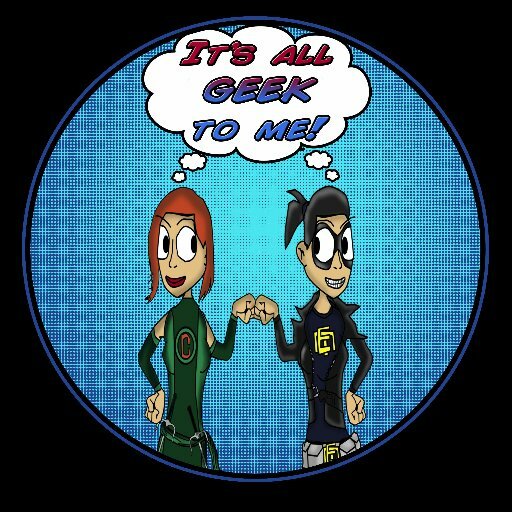 Episode 96: NYCC 2016 Wrap Up! We’re back, and only slightly worse for wear, from four glorious and fun-filled days at New York Comic Con! Naturally it only makes sense that we do a full on wrap up. You can listen to the most recent episode of our show, (Episode 96: NYCC 2016 Wrap Up!) HERE, in archives. OR now we are on iTunes, so you can now download us directly on to your listening device of choice! In an effort to bring you guys some more video content, we’re back with our What’s in the Box? segment. Check it out as EM unboxes this month’s Nerdisan Box: Monster Slayers: Supernatural, below. Full disclosure, I’ve recently become OBSESSED with the dresses made by Hardley Dangerous. I originally bought one of their Strapless Cherrybomb dresses in the hopes of one day using it as Scarlett Overkill Cosplay. However when it arrived I immediately ordered another one in black with cap sleeves. All the orders are handmade from when you order them. The craftsmanship is amazing, and the packaging is adorable. And every interaction I’ve had with the shop owners Claire and Chase has been nothing but wonderful. I can not even begin to count how many compliments I got when I wore the dress to our office holiday party. Seriously, go check them out. A few years ago I stumbled upon the amazing little etsy store that is Jezebel Charms. Store owner Kate makes all her jewelry over in England, which just seems to make them seem even classier. A lot of her jewelry features classic literature quotes, from the likes of Jane Austin and Lewis Carroll as well as Shakespeare and Sherlock. She also has a few scientific and historical pieces. She’s also slipped in a few brilliantly subtle pieces of geekery. All handcrafted and made to order these are STUNNING pieces for all. This was another wonderful company I found via instagram. They have an amazing selection of geeky tees, Disney is well represented, as well as all around general awesome mom/dad/kiddo apparel. I stumbled upon the Shea Chic Soap company while on instagram. They were part of a geeky loop giveaway. Creator Sheena makes all sorts of fabulous geeky soaps, as well as silky bath truffles and scrubs. Perfect for a little geeky pampering. Hilariously, Howard (owner and operator) of HSL Photography had photographed Em and I on three separate occasions before we ‘officially’ met. We would like his photos on Facebook frequently and did so on a picture of us from NYCC’s Heroes and Villains party, which had Em and Howard exchange the “omg, that’s you guys?” “yes! hi! small world!” conversation on Facebook. This year at NYCC , I was fortunate enough to do a photoshoot with Howard and had a ball. He is fun, patient and has great ideas for poses when shooting with him. He is also an all-around nice nerdy guy who loves cosplayers. If you are ever at a con on the East Coast, chances are that Howard will be there. Check out HSL Photography on Facebook, Twitter and Instagram!